The improvement kata can solve problems that typical retrospectives fail to address. Although there is a halo of mystery around it, it’s actually not that difficult to get started ! Here is a guide. 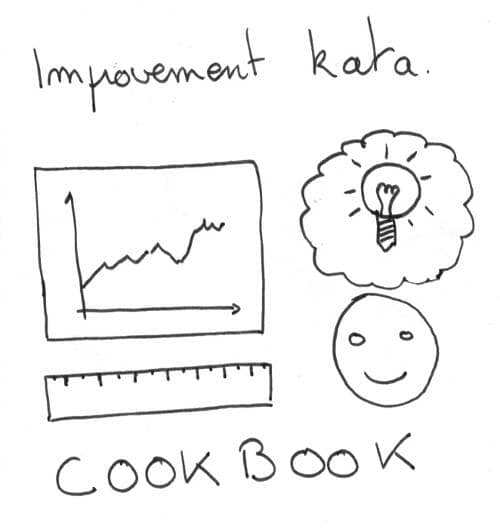 During the last few weeks, I’ve been blogging about the improvement kata. You can read the full story of the first time we applied it in our team to gain 25% of productivity. If you are more interested by what it taught us, check this other post. It’s a continuous improvement technique. It relies on the scientific method to reach a target state. It involves running experiments to know if your ideas are valid. It can be long to run through, but it works on tricky situation where retrospectives don’t. It’s 100% scientific. It uses data analysis and deduction. Not gut feeling and community best practices. It can be part of the backlog, as any other item. 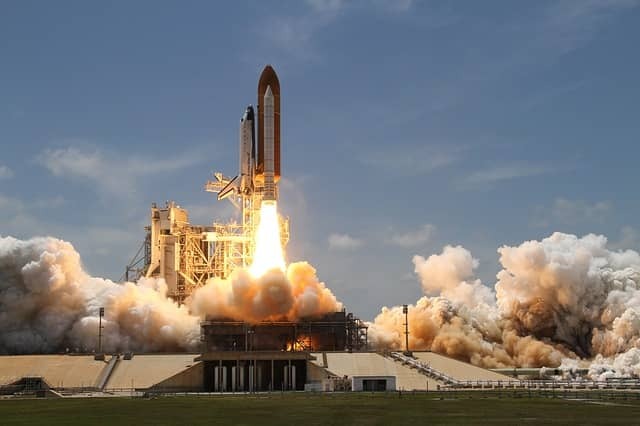 It does not have to be a special event like retrospectives usually are. Is that enough for you to give it a try ? If so, great, read on ! If you need a bit more convincing, check the full story of how we gained 25% of productivity with it. The first thing is to read about it. If you have the time, Toyota Kata is a good read. If you read French, the “Petit guide de management lean à l’usage des équipes agiles” is a very pleasant and easy read. Finally if you want to cut it as short as possible, read the Toyota Kata website. Pick a topic to try it on. Best candidates are clear and important problems. They might have emerged out of a retrospective for example. The scope should be small enough not to get lost. Once you’ve identified a topic, someone or a pair should take ownership of the kata. It’s very unlikely that you’ll be able to do the full kata in one afternoon. Understanding happens when the brain is at rest, and experiments take time. The owners need to dedicate some time to follow up on the kata. 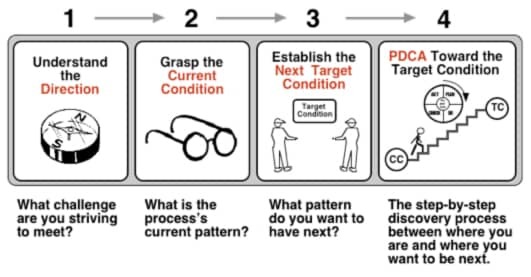 Repeatedly ask yourself the coaching kata questions. This will help you and your pair to stay on track. Many practices and techniques seem daunting at first. Remember the first time you wrote a test before the code. The first time you tried to program using only immutable data structures. Or the time you wrote your first “hello world” program ! The improvement kata is no different. Give it a go, and you’ll learn a powerful technique. Whether you have already used the kata, you plan to use it or you have questions about it, I’d like to hear from you ! Leave a comment.